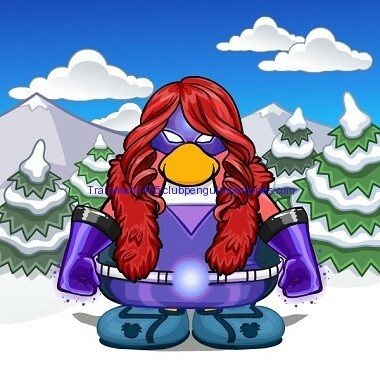 Some new superhero featured fashions have been posted on the Club Penguin Blog! You might remember that last time we were asked to name the four superheroes whose outfits were featured. Dome C thought the super hero dog, 0vicky, should be named Prowess! Chills16751 suggested Emperor Pegi should be called L.A.S.E.R. (Light, Action, Sonic, Emperor, Radioactive)! Both Firecaster and Flippy01h suggested the name Frozen Rainbow for Houdini2! I loved Rainbowy483’s name for Pingwan2004’s superhero: The Master of Shadow. Mysterious! Poppycat125 is ready for action! Her colour-coordinated outfit and those comfy Puffle Trainers were a great choice. Both heroes and villains will be stunned by her amazing style! Never fear, Plicky1 is here – and is ready to fix up any damage the villains’ robots have done. 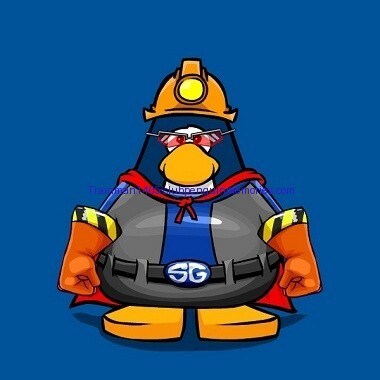 With his hard hat and construction power gloves, the city will be repaired in no time! Once again Daffodaily5 is asking for names of the two superheroes, and just like the four above, you’ll get 1,000 coins if your superhero name suggestions for Poppycat125 or Plicky1 are chosen! Club Penguin Blog: We’ve Got Mail! I cant decide on what to call them. Any ideas?